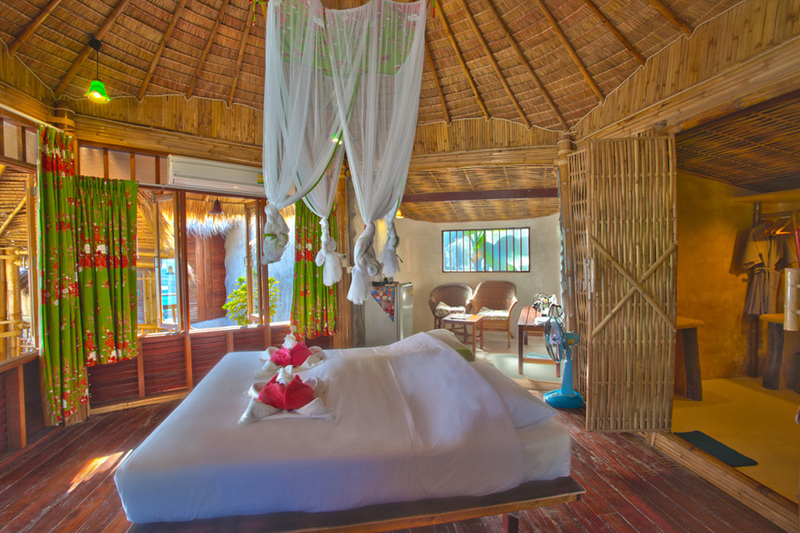 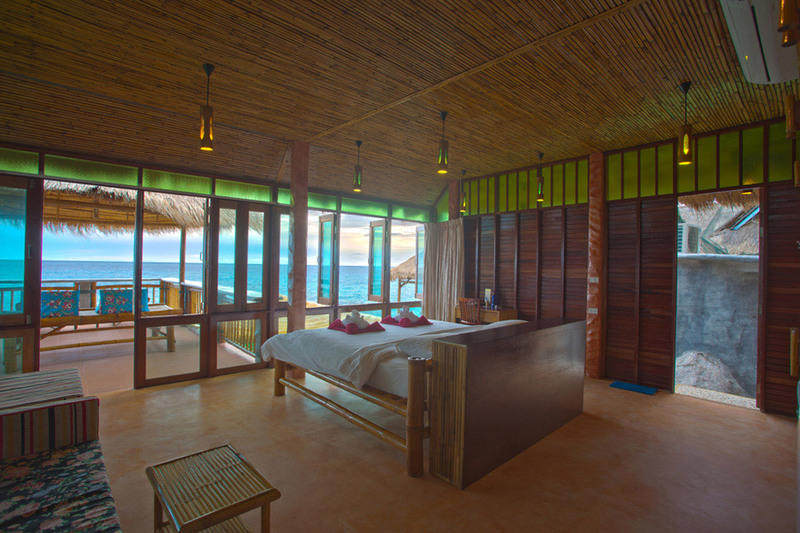 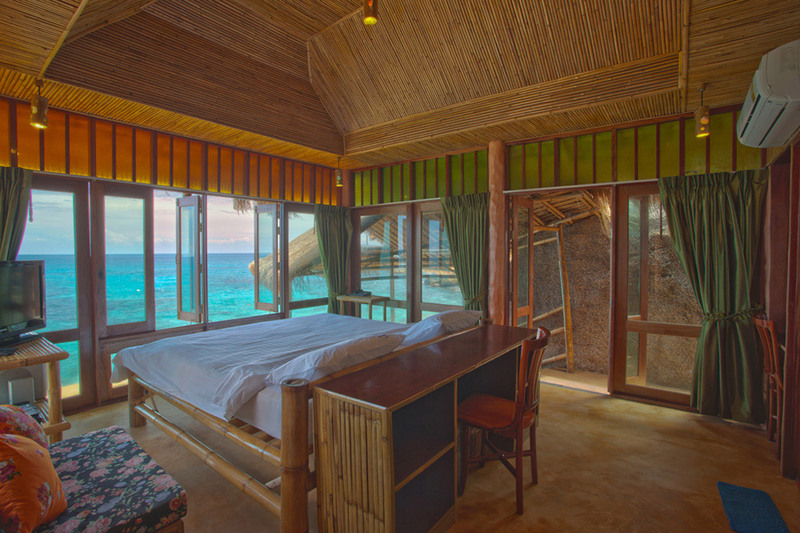 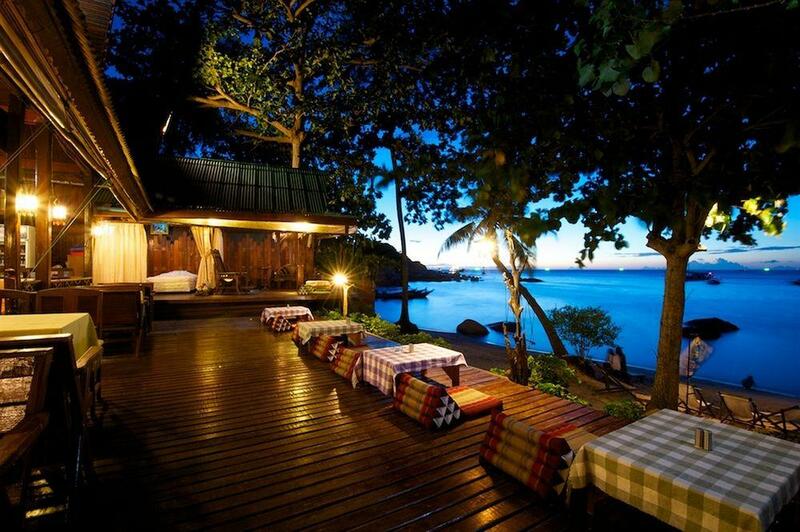 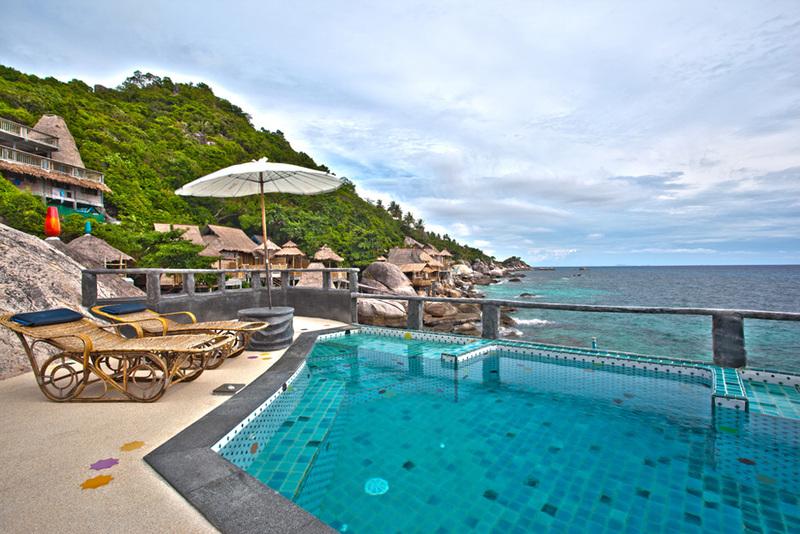 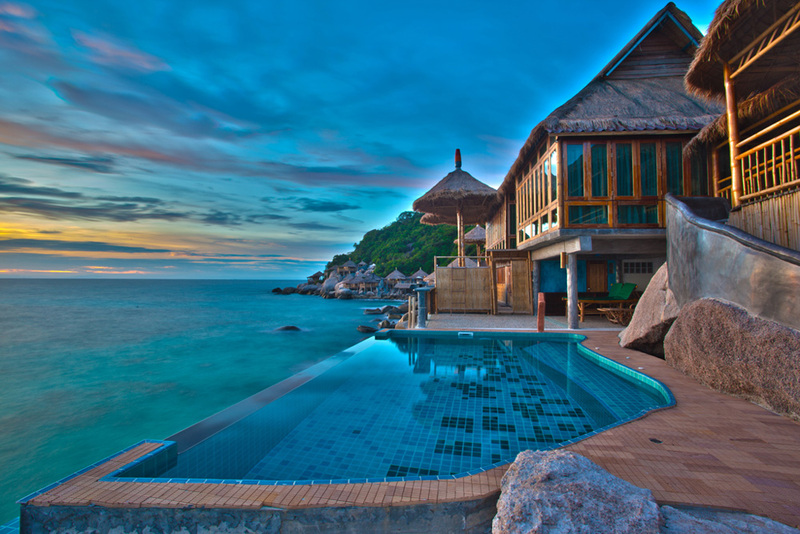 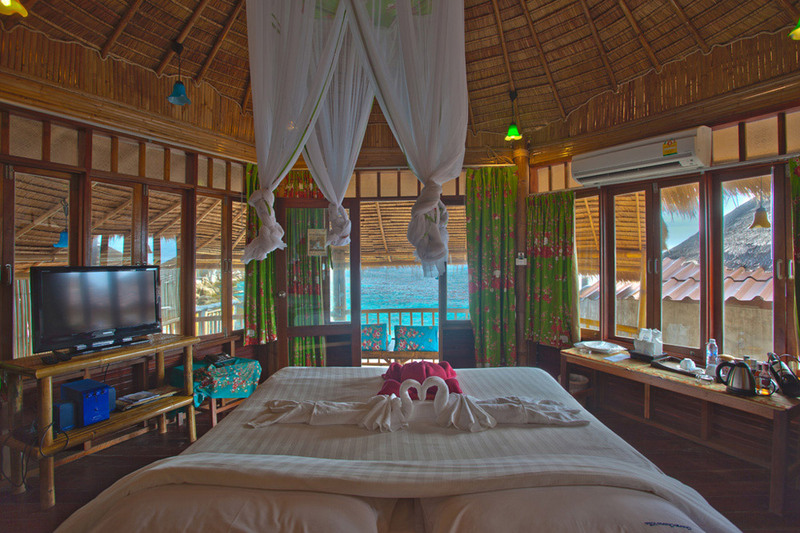 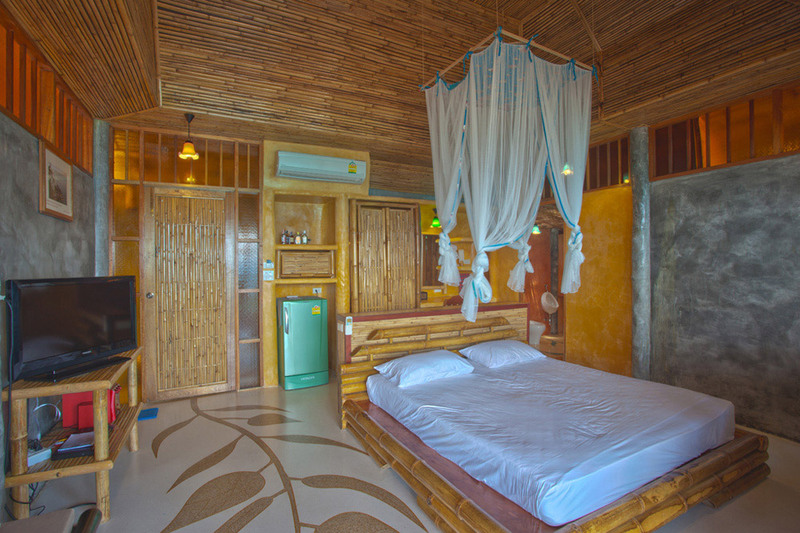 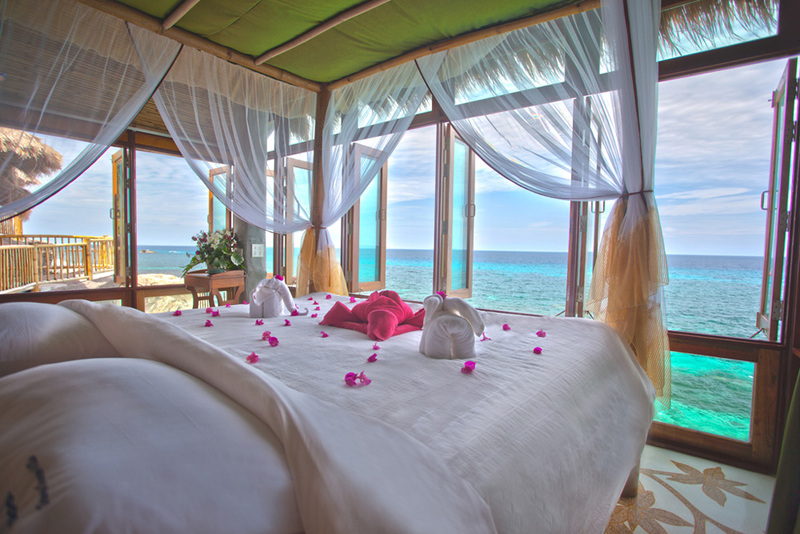 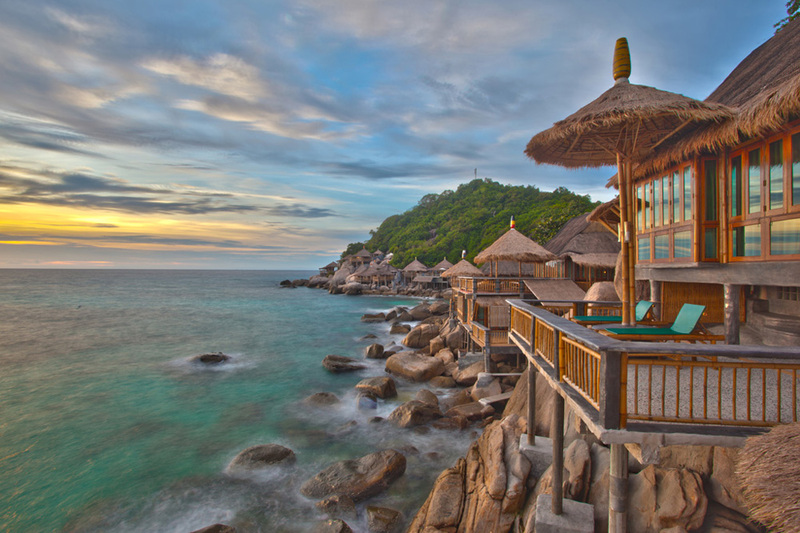 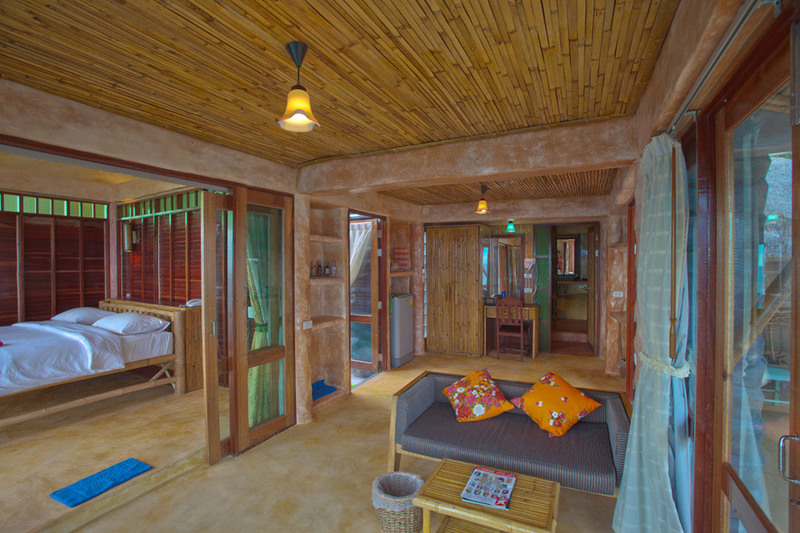 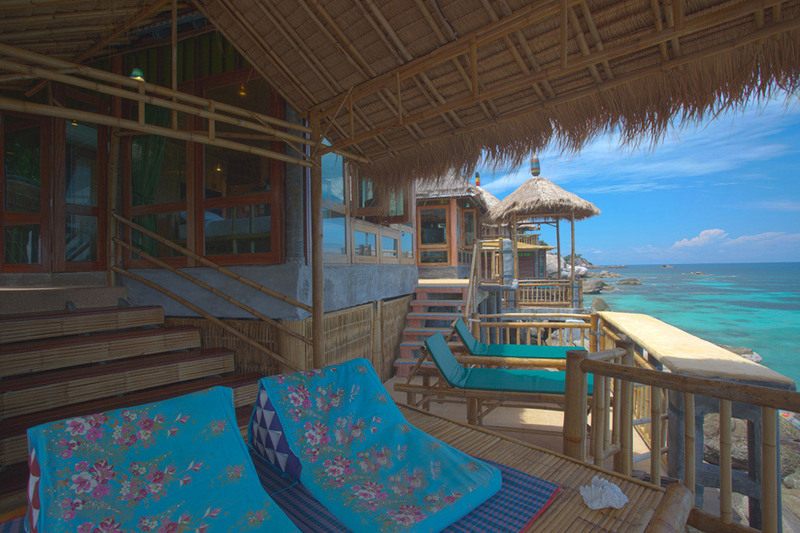 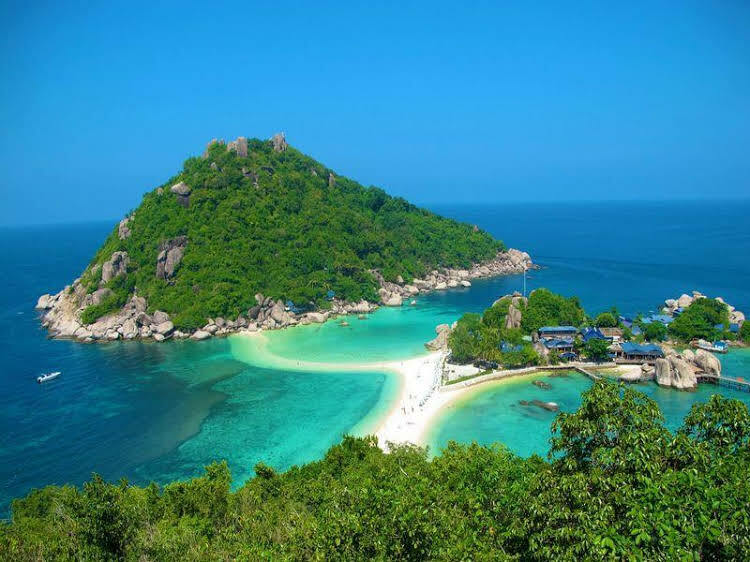 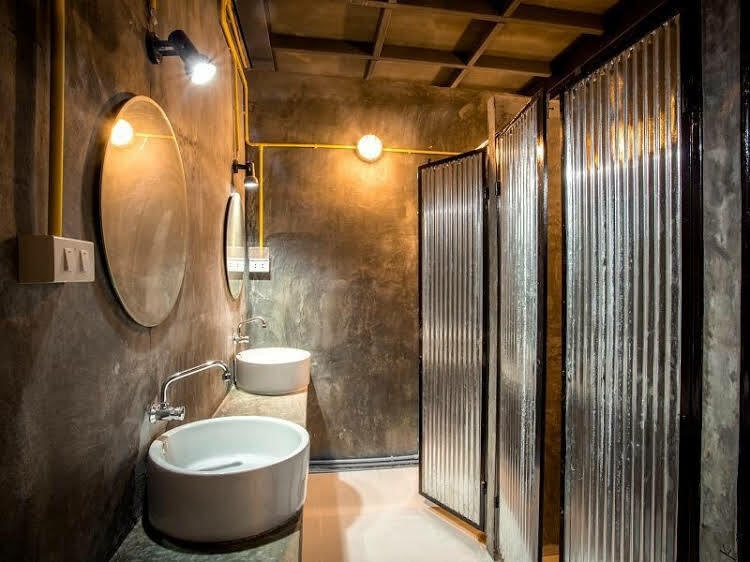 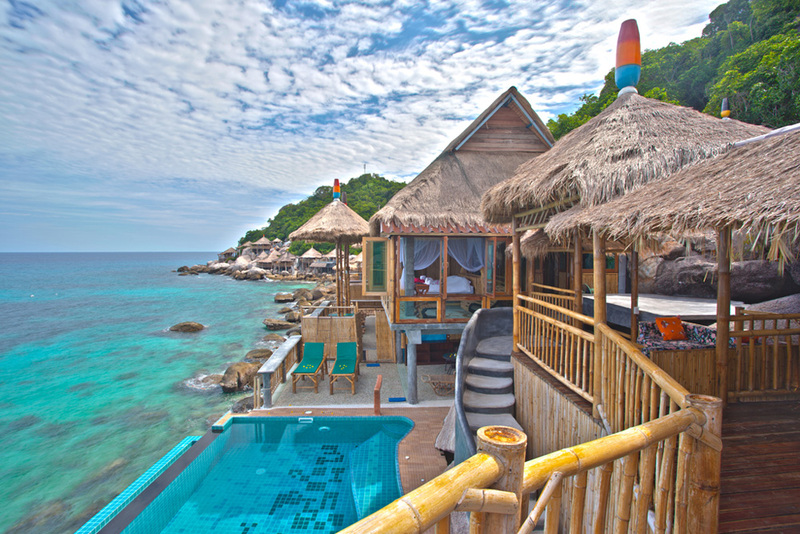 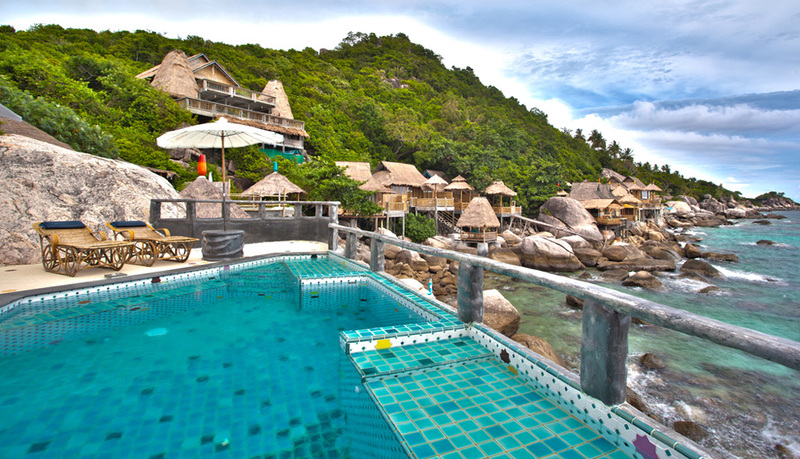 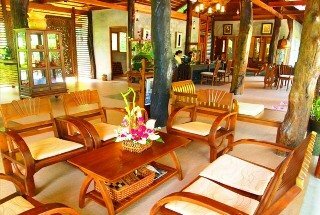 Koh Tao Bamboo Huts is natural resort is an extraordinary resort set on the rocks in the jungle by the sea. 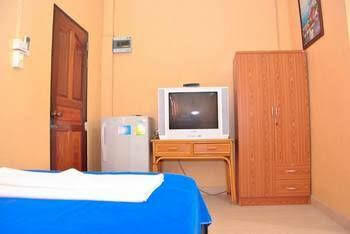 We are Adults resort for only 16 years old up, serenity, fit and firm for natural lovers. 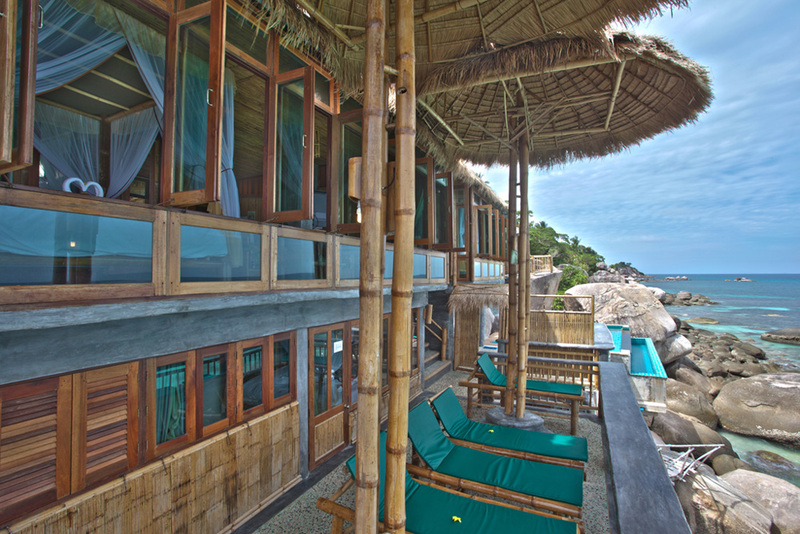 Perched on the rocks right at the edge of the sea and flanked by lush, Tropical Ocean, be well prepared for walking on the path with a little steep in some sections. 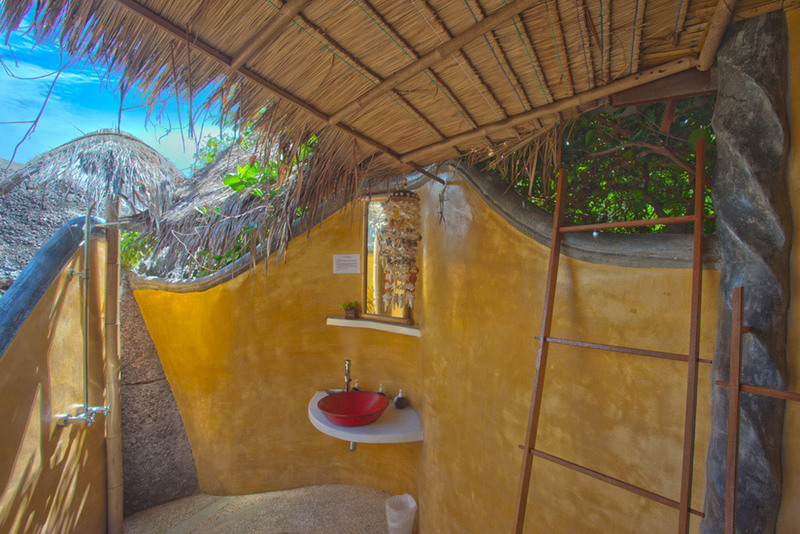 Huts are built among andaround the roughly outcropping stones, with thatched roofing, breezy balconies and natural woods ensuring each hut blends harmoniously with its surroundings. 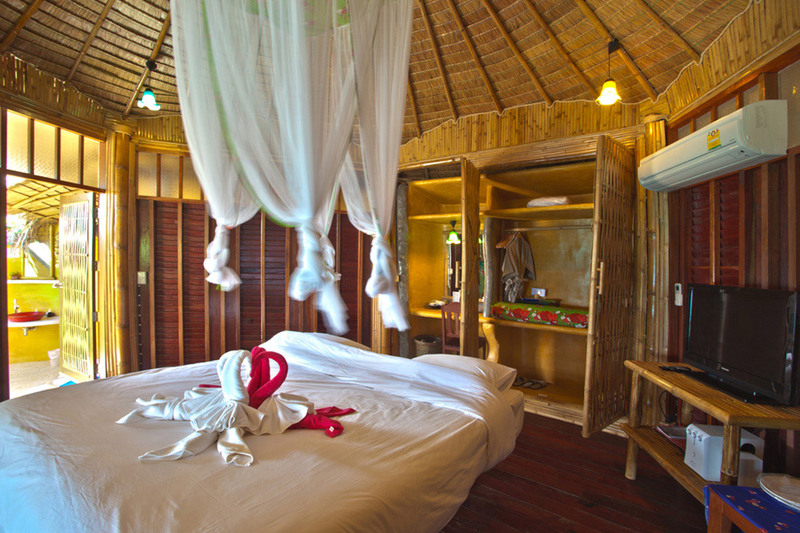 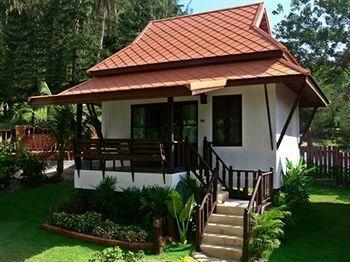 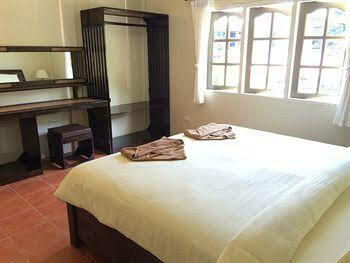 The resort has a total of 19 huts featuring an area ranging from 50 to 180 sq.m. 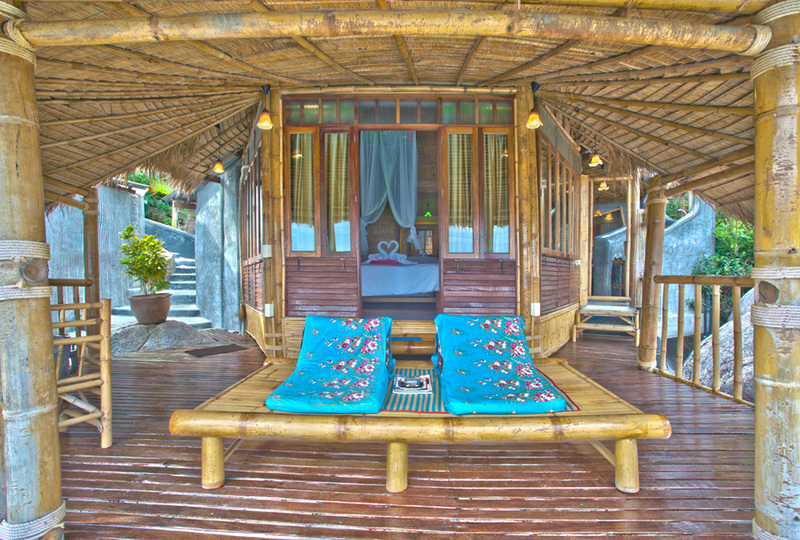 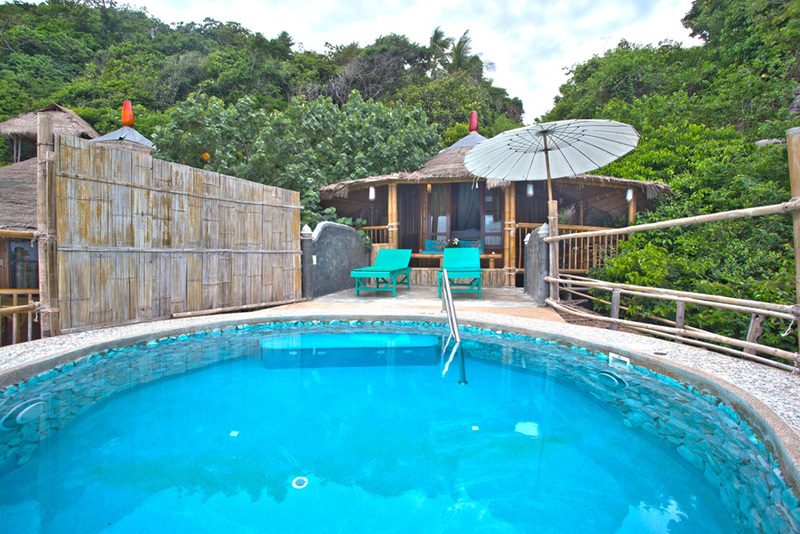 Simple yet elegant and comfortable, 3 of the Bamboo Sunset Huts have a swimming pool with Jacuzzi and sun loungers. 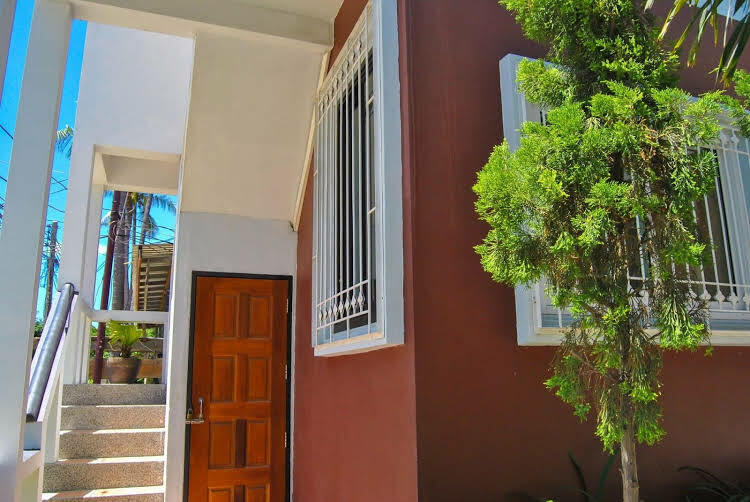 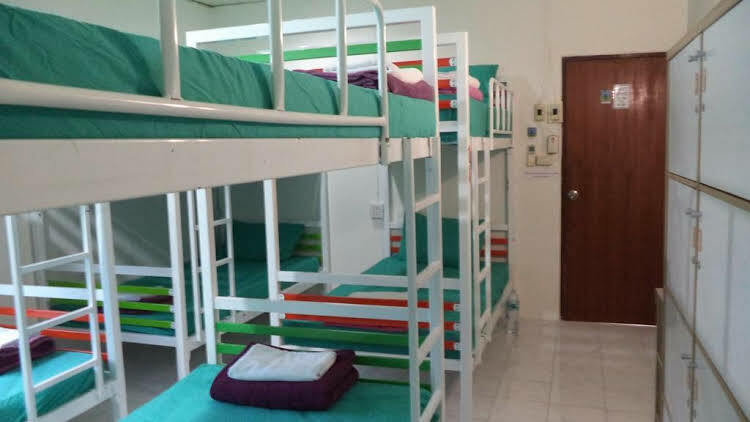 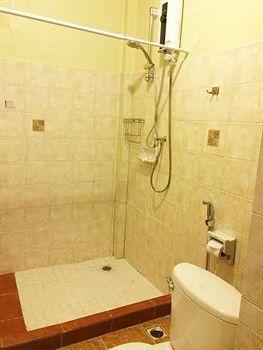 Aside from the well-appointed bedroom complete with in-room safe, refrigerator, air conditioning, bathrobes, slippers and bathroom amenities, TV and DVD also free WIFI in room. 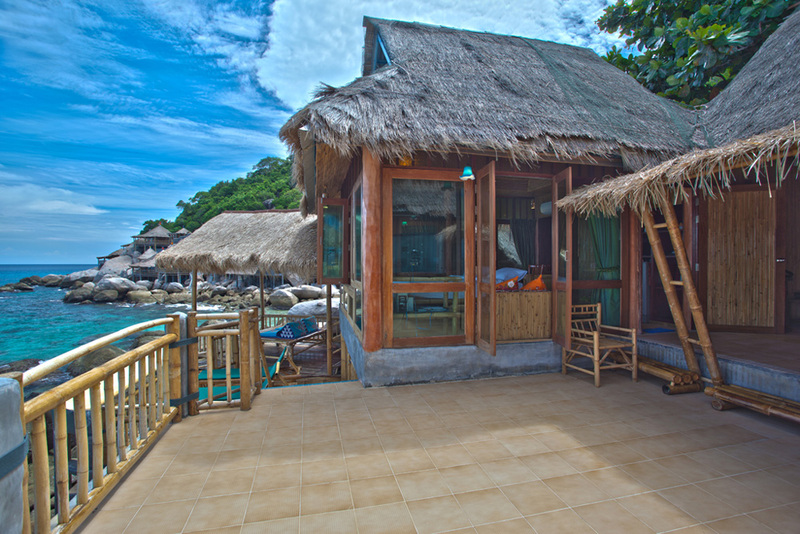 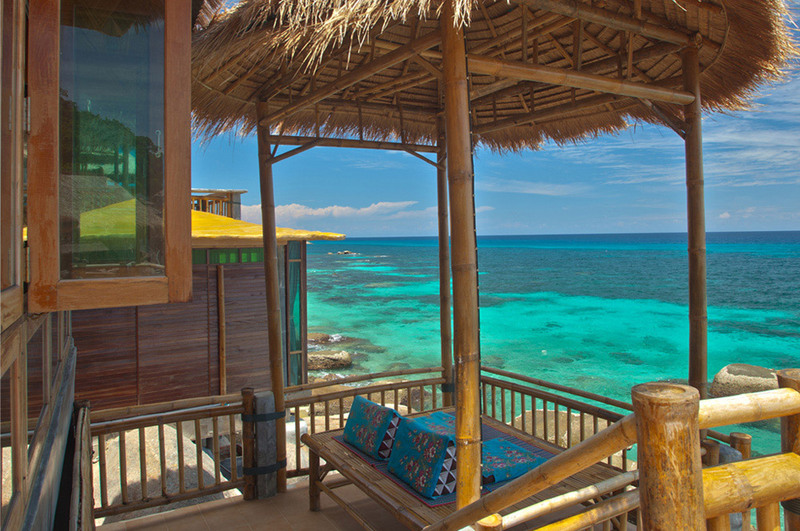 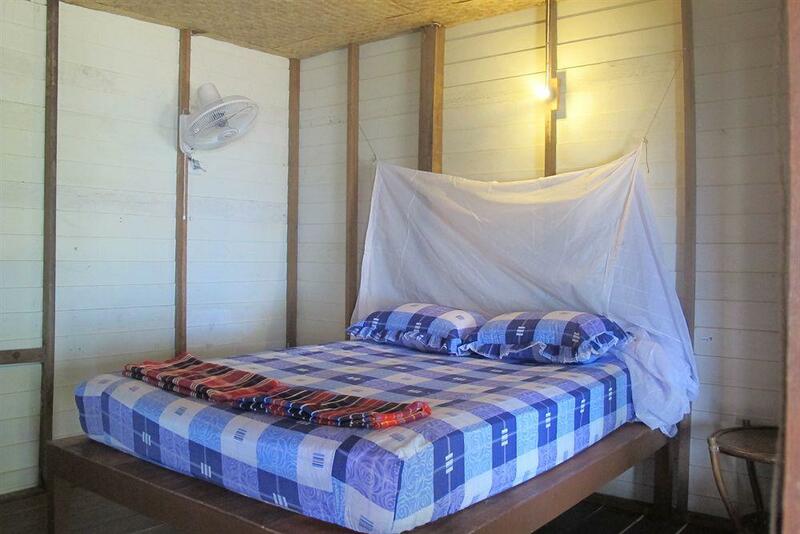 All huts are sunset sea view and equipped with an indoor and outdoor balcony and pavilion. 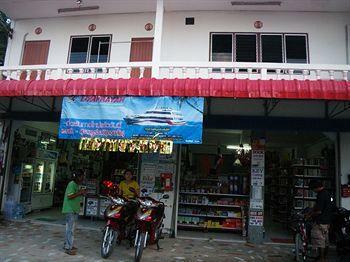 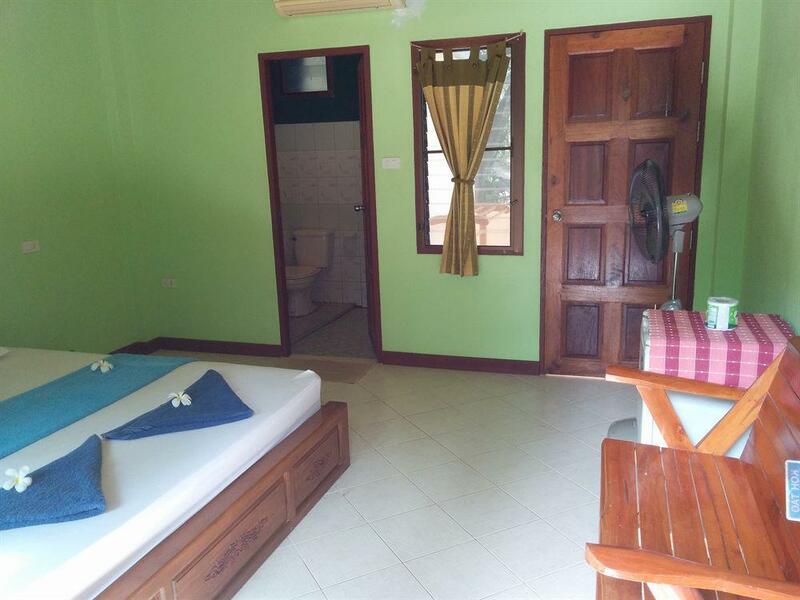 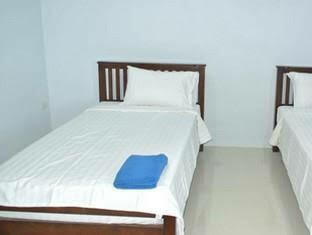 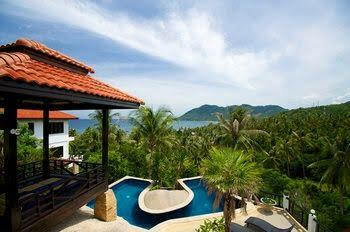 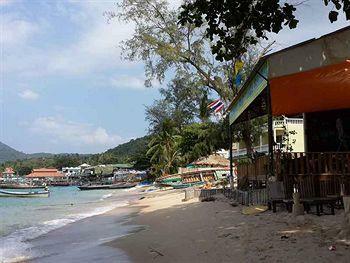 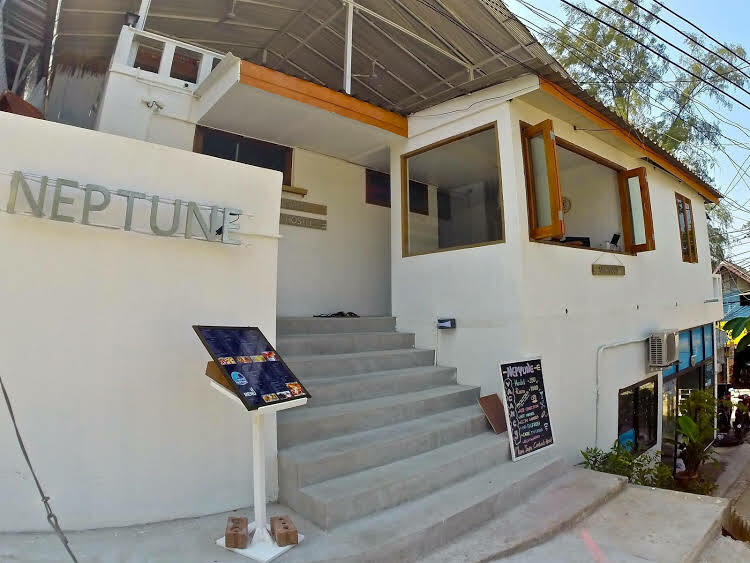 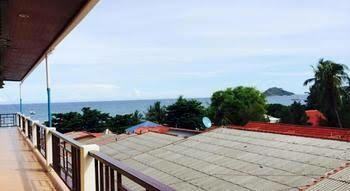 27 Moo 2 , Mae Haad Beach , Koh Tao , Suratthani 84280 Thailand.